I would just like to point out that if our community is starting to develop maps or convert maps to fhsw that somebody should compile them altogether and release them as a pack, otherwise people that want to download them will have to hunt and search for them. I've changed the spawn position of the bomber and managed to change the normal Betty to the one with additional Cluster charges you may know from Boggainville. Also a few new static objects have been added and other little changes on soldier spawns etc. Also in my opinon we have enough pure aircraft maps, BF1942 is not a flight simulator. OMG I love catalinas, they used to assemble them in my home town! this has to be included!!! 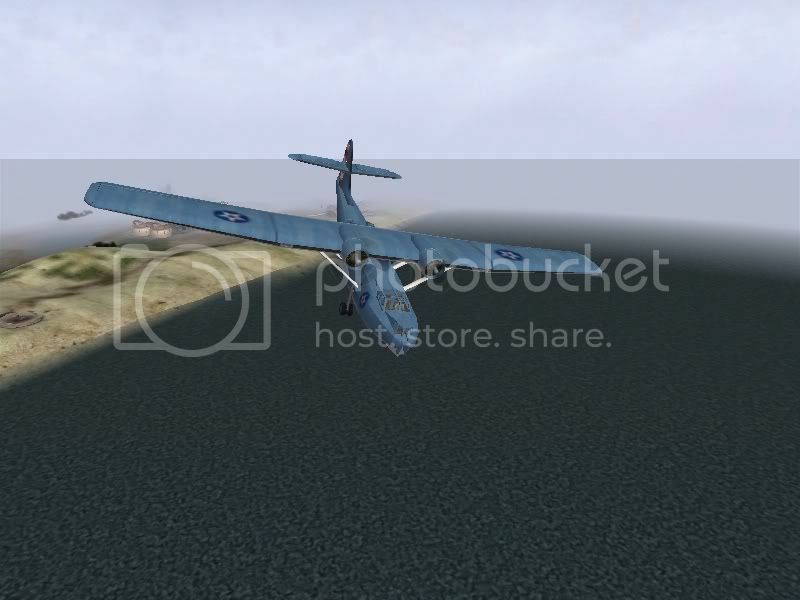 I've seen the Catalina before and if I remember correctly it's of really bad texture and model quality. I wouldn't say we have enough air maps, well maybe in the Pacific, but on late Western front there's only Bombing the Reich which is also a night map. Then you have Breakthrough (GB only) and two fictional battles (Alpennoob and Gazaps) which have some air fights but the rest are pure ground battles if I'm not mistaken. About Catalina, I've found it in files of FHSW-dogfight map - I tried to place it on the map, but it doesn't spawn for some undefined reason. The catalina isn't a bad model really in comparison to the above planes, only lacks a detailed texture. Yea I think the Ta 152 is just a slightly modified version of the D-9 which is also not a really great looking model. For example the insignia almost looks like it's done with MS Paint. I have pretty high standards which were set by the work of the original FH devs (especially Rad & Montoya). 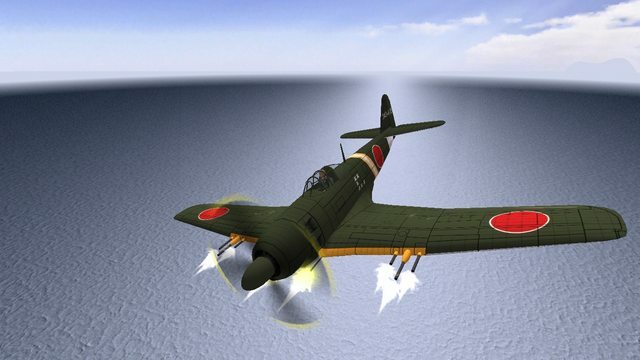 FHSWman's, Jagd Chi-Ha's and ningen's latest models are in that area, others not. The Jinpu model posted by Radiosmersh looks good at first glance but the texture is missing every kind of detail/weathering, it's just green with black lines. 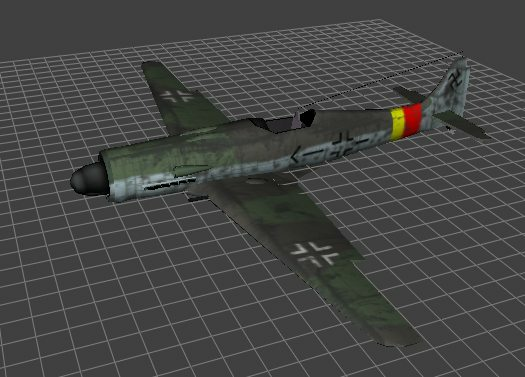 Check out the Ki-84 for example to see what I think is a very well done model+texture. You are right and otherwise perhaps it should be this way because of late war time and many stuff had done provisorily? Quality focus is good, especially when it is applied to one's own work. And people will appreciate the extra amount of time invested in each additional detail. But remember that FHSW just as FH1 has fluctuating quality between stuff. For my part i'm above all interested in having historical equipment on maps which thematize a historical battlefield. Whereas the russian TB-3 on Monster just breaks the immersion and i would be much less bothered if there was a low quality plane which was actually used by the USA instead. 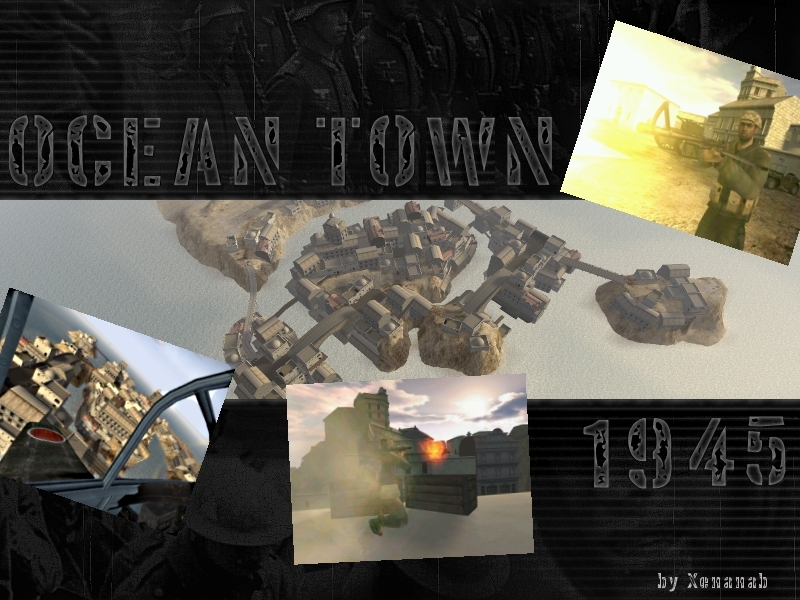 It's a long time, but I've managed to create the updated version of Ocean Town for FHSW 0.552! So I decided to put the vanilla version of these in my level's objects folder (and the old standardmeshes in StandardMesh). The fences work again but your mod is not able to make them visible on longer distances anymore. Also most of the African buildings seem to be ignored by the mod for some reason now. will be shown with the improved view range? Would you like to create new terrain shadows and object lightmaps for my map? btw. sry for the low resolution loading screen.. I may create a new one. At the moment I don't really have the time for lightmapping. in the staticobjects.con and it should work again. The download link above is updated!